Most people misunderstand the meaning of "chemical imbalances" in the brain. This phrase has become the buzzword to use today to explain mental health problems, including social anxiety. Chemical imbalances exist because the neural pathway systems of the brain sometimes lead to emotional pain (i.e., anxiety) and irrational conclusions. The comprehensive online therapy series "Overcoming Social Anxiety: Step by Step" explains this question more thoroughly than an article can do, discussing what happens in the brain as people learn to make progress against social anxiety. Understanding how this works is important to progress and recovery, so this is discussed on the audio series relative to recovery from social anxiety disorder. That progress is physical, psyiological, and occurs in the brain so that new brain imaging scans can measure it has been tremedously useful. Now, we can say with complete proof that cognitive-behavioral therapy for social anxiety disorder cause literal changes in the brain which are measurable and "seeable" using modern brain imaging equipment, such as MRIs and CT scans. The Journal of the American Medical Association, a highly respected journal, recently reported on this, and included images of brain scans in people before and after cognitive behavioral therapy for social anxiety. We can say that no one is "born" with social anxiety. You may remember circumstances and events from very early in life, but there is no "gene" that codes for social anxiety, and there is not an immutable set of genes that cause social anxiety to occur. At best, we can say that some people have a predisposition toward anxiety symptoms in general. From what we know, this is not a predisposition to social anxiety per se, it is a predisposition to be anxious in general. Why you develop social anxiety has more to do with environment than it has to do with genetics. However, there are always interactive combinations occurring. People do not generally understand that even if something is genetically influenced, this does not mean it is genetically caused. Social anxiety can not occur unless events, situations, and circumstances in the persons' environment "push" or "lead" the person to develop it. Because we develop social anxiety over time (although some people feel it hits them all at once), the brain is learning how to be socially anxious -- this is cognitive structuring. The brain learns how and what to be afraid of. If you're afraid of a certain event, and this event triggers your anxiety, then the neurons in your brain fire together, and over time, they wire together. This is quite normal because everything we learn -- everything you learned in school and at the job -- becomes part of our neural associations or pathways. When you learn things about your family, it becomes a part of your brain's neural pathways and associations. Remembering your mother brings back many memories because they are all tied together or bundled together by these neural pathways or associations in the brain. Anything you learn, regardless of what it is, becomes a part of the vast neuronal associations in the brain, which contain over one billion nerve cells. When you learn that Alexander the Great tried to conquer the world, as did Napoleon, your brain ties these people together into a neural association in your brain concerning history, historical events, and leaders who lived in the past. When you learn to tie your shoes, ride a bicycle, drive a car, use a computer keyboard, or learn a musical instrument, your brain gradually develops the neural pathways to make your "practicing" become automatic. These are literal brain nerve cells and they associate together with other brain cells that relate to the "subject" you've learned. The more you practice and learn, and the more quality time you put into your practice, the more that your brain pathways change. Fairly soon, you know how to tie your shoes and you don't think about it anymore. This practice you did has made tying your shoes become automatic. Learning a musical instrument works the same way. At first, it is difficult and hard, but the more you practice, the better you get. As you take one step at a time, and practice thirty minutes a day on your instrument, you continue to improve and get better. What is happening in the brain? Your brain is arranging a new neural pathway or association for learning to play a musical instrument. As your brain develops this new pathway (it grows the more you practice and learn), you get better and better at playing your instrument. It is exactly the same way with cognitive (learning) therapy for social anxiety. 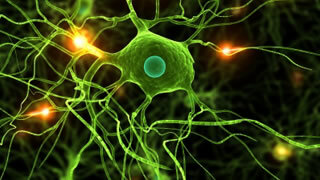 As you learn, and then practice, the cognitive methods, strategies, and concepts, a new neural pathway begins to form. The more you practice, the more this new neural pathway or association grows. Progress is slow at first, just like it is when you learn any new skill, but if you continue to practice, you continue to get better. If you practice enough, the habit becomes more and more automatic over time. What you learn changes the neural associations in your brain. What is in those neural pathways or associations becomes permanent. Now, how do brain chemicals, neurochemistry, and "imbalances" of brain chemistry fit here? Your neural pathways and associations influence and decide which neurochemicals, and at what "strength" pass through the synapse (i.e., synaptic gap). Your neurochemistry is determined by your neural pathways and associations, not the other way around. Medication or pills can change your brain chemistry temporarily. But, medications have no power to change neural pathways or associations. There is no cure for social anxiety in medication. There is a temporary, chemical change in your brain brought about by the medication. But it lasts only as long as the medication is synthesized to last, from four hours to longer periods. But it is never permanent. You always need to take another pill to get the same effect. The only permanent solution is to change your neural pathways and associations. This can only be done by learning new strategies, rational concepts, and new methods to extinguish social anxiety. Then, these new strategies and methods must be practiced and practiced. This is why we always talk about repetition. Without repetition, neural pathways and associations cannot change. To have a permanent solution for social anxiety, our neural pathways and associations MUST change. When our neural pathways and associations change, our brain chemistry also changes. This is a permanent change, because you have practiced the new methods and concepts (i.e., the cognitive therapy) into your brain repetitiously, thus creating new neural associations. The more dense these neural associations are, the more you have recovered from social anxiety. Everything in life works like this. Whatever you really learn causes new neural pathways in the brain, and, over time, with repetition, you gradually become better and better at something. Find the best method of support for you and get started. Cognitive therapy is nothing more than learning the appropriate strategies, methods, and concepts so that our brains can change. Through proper treatment, our new neural pathways continue to grow and our new feelings, beliefs, and thoughts changed automatically, too. The human brain is not limited in terms of learning. You can learn all you want, and keep learning until the day you die. Cognitive therapy, if used correctly, creates permanent changes in your brain neurology, and these changes then affect your brain chemistry. Everyone, barring any brain disease, can learn to overcome social anxiety. The cognitive therapy necessary is nothing more than a learning process that must be repeated, repeated, and repeated, so that our neural pathways and associations can gradually change. Note they literally change the neurology of the brain. This can now be seen using brain imaging scans. This is a simplified version of what occurs in the brain, but it is an accurate portrayal of what happens as we learn to overcome social anxiety. Some people have done a little cognitive therapy -- without the practice and the repetition -- and then said, "cognitive therapy didn't work for me". That, of course, is not true. They did not know, or were not told, that cognitive therapy for social anxiety works in the same way that learning anything new works (e.g., learning to play a musical instrument). It takes practice, repetition, and time. Practicing over and over again makes a new behavior occur automatically. You no longer think about it when you're driving and see a "STOP sign". You automatically slow down and hit the brake. You have done this thousands of times in your life. You practiced this response repeatedly so that the brain knows what to do, with you even thinking about it. It does work, but it takes persistence, practice, and repetition. The brain's neural pathways must change so that your beliefs, thoughts, and perceptions become more rational. This can only occur if you change your neural pathways by practicing repetitiously the new methods and concepts learned in cognitive therapy. Cognitive therapy is nothing more than "learning" the appropriate methods, strategies, and concepts to help your brain develop new neural pathways that are more rational than the old anxiety-ridden pathways. This is more fully explained in the audio therapy series, "Overcoming Social Anxiety: Step By Step" and the cognitive therapy provided throughout this series directly relates to overcoming social anxiety altogether. This, as you can see, takes practice, persistence, and repetition. But, it works. It has to work because, as you continue, your mind really does change. You are developing new neural pathways and associations as you learn (and continue to learn and reinforce) appropriate cognitive strategies. People can and do overcome social anxiety. The solution is in the practice, repetition, and constant reinforcement. Progress can be made relatively quickly, faster than most people expect, but there is no substitute for practice and repetition. This does take time and patience, but every three weeks or so, if you practice cognitive-behavioral therapy for social anxiety disorder each day, you will find you have made some major progress. This progress occurs because your brain has literally made changes. Continuing to move forward and make progress until social anxiety disorder is a thing of the past is the right choice to make.